These are files I have used in the past updated and cleaned with TES5Edit. These plugins are not intended to take over the original author's mod. If any author wishes to host this file as an update please let me know and I can take down the file. If you wish to alter the esp file then you need to attempt to contact the author as I have done. Most of these authors do not log on anymore and some are not accepting Personal Messages (PMs). Therefore, permission is pending unless otherwise specified. Check out the new banners that Grace Darkling made for me. That was a sweet and appreciated Christmas Gift. I added a few in game Christmas shots of my own. NOTE: All Patches were previously made with v1.8.151 or higher of the CK. However, I am currently updating all the files using v1.9.32.0 of the CK. 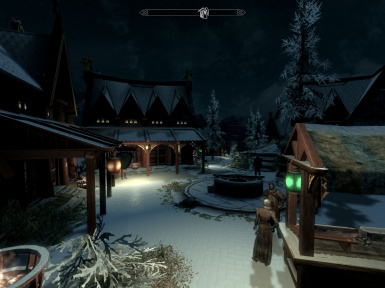 Because of that Skyrim version 1.9.32.0.8 is recommended. 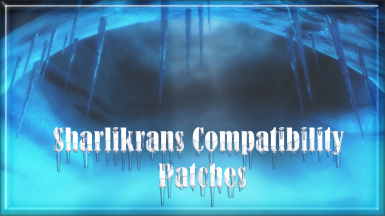 The patches may be compatible with Skyrim 1.8.151.0.7 or higher but there is no guarantee. The files provided were corrupt because they were made or edited with TESVSnip or, they were made with another utility prior to the the release of the CK on Feb 7 2012. The files have been repaired and cleaned with TES5Edit. Because the files have been repaired they are now more compatible with newer versions of Skyrim. They are more compatible with Wrye Bash, TES5Edit Scripts, SkyRe and other SkyProc patchers. I will update various mods as time permits. These are not simply loaded into the CK and then saved. Any information the CK does not like, such as out of order subrecords may be striped out of the mod once you save it. So that is not the best way to resolve issues with plugins and just creates more incompatibility with other mods and potential CTDs. Before I made the patches this was the message that was in the BOSS masterlist as show in this commit for MageFriendlyDragonPriestMasks.esp. WARN: This file was released before the CK (07 Feb. 2012) and is not recommended for use and should be removed. That lead to people posting in the authors thread, "There was a BOSS message telling me to remove the mod. What gives?" Later I added a message to where you could get the patch. I leave the files for users to download but closed the comments section. People just kept asking the same questions too often without looking at previous answers. The install questions weren't as bad as what I put in the FAQ. The questions that caused me the most frustration being, what is this patch for, what does it really do, why do I need it. The out of order records cause those plugins to not work with Mators merge script, SkyProc patchers like the Reproccer, or Wrye Bash. Confirmed for the Merge Script, Reproccer, and DSR as shown in the posts in their threads. Unconfirmed for Wrye Bash because the current version only handles 18 or Skyrim's 120 records butAlso, as mentioned because the plugins were made prior to the CK they were never loaded into the CK and thus made with TESVSnip or SkyEdit. The former being the major culprit and not likely the latter since it was written by Dave Humphry. Thanks for all the kind words I am glad to hear that for some this is really relieving some CTDs. You guys are welcome. Sometimes I receive requests to update files in some way. Maybe the request is to add specific DLC support or alter the meshes to work with a weight slider. I do not provide updates to the mods I only repair the corrupt plugin. Please don't ask for a patch if it does not have out of order subrecords. I don't mind requests but I have discovered that if the plugin does not have out of order subrecords loading the plugin into the CK, saving it, and cleaning it with TES5Edit is all it needs. Unless otherwise specified, download the author's original mod listed below. Then install the esp provided into your data folder and overwrite the old esp or esm files with the ones I have provided. Work In Progress: In the past the BOSS and LOOT messages appeared based on the CRC value of the file. BOSS 2.1 was the current release at the time I started making the patches and it had a bug in it where it would not read the plugin header for version numbers. LOOT and BOSS v2.3.0 can use a version number in the plugin header. So over time I will be adding version numbers to the plugins. Then when you make your own personal modifications to the files the BOSS or LOOT message won't appear. Just keep in mind that I may not have changed the file yet because I am busy with other things. If you install any of my patches and you still see the message then your installer such as ModOrganizer, NMM, or Wrye Bash did not overwrite the file correctly or you modified the file so now the CRC is different. Once the version numbers are added to all the files then you won't see the error message because of CRC differences you will only see it if you didn't overwrite the file correctly. I don't use Mod Organizer because I don't like the files in virtual folders. Because of that I don't have good troubleshooting steps I can suggest. However, when you have installed the original mod then my patch and you see the BOSS or LOOT message then it simply wasn't overwritten correctly or you modified the file. So if you haven't modified the file then you need to talk to other Mod Organizer users and ask them how to properly install two mods so that the second mod overwrites files from a previous mod. I would guess that installing files for ModOrganizer is similar to Wrye Bash. The original mod should be first or higher in the list then my patch. As long as you install the original mod first and mine second then it should overwrite files correctly. Consult the MO documentation and anything related to overwriting files. The patch is already an installer archive just like the original authors file. Make sure the patch will overwrite the file from the original installer archive. You may have to place it second, after, or lower, whatever the MO documentation says. If you are still seeing the BOSS or LOOT error messages then you didn't overwrite the fire correctly. You install the original mod first then install my patch second and overwrite the files. However, if you are you using more then 1 patch then you need to be careful how you do that. If you have more then one patch then you need to be sure that you use the option when prompted to install normally. When using Wrye Bash then the patch goes after the original authors file. Did you modify the file? Are you modifying the plugin in any way? If you do then it will trigger the message to appear. If you really must alter the file then ignore the message. Have you installed the file multiple times? Another thing I see is that people try multiple times to install the patches manually or install the file multiple times with NMM or some other mod installer. If that is the case then your mod installing utility might have gotten confused and restored the original file instead of my patch. Just do this for the patches not all your mods. Uninstall all the patches and the original authors mods. Close your mod installing utility and go to the data folder so you can manually delete the original authors plugins or my patch if anything was left behind by mistake. After all the mods that you have patches for have been uninstalled and the original plugins have been manually deleted if they were accidentally left behind by your mod installing utility now you should be able to proceed. You would then install the original mod with NMM, MO, Wrye Bash, or whatever--then install the patch overwriting the esp with the one I provided. The exception to this is when I have specified that the original authors mod is not required. NOTE: These plugins are not intended to take over the original author's mod. If any author wishes to host this file as an update please let me know and I can take down the file. Since most authors do not log on any more, permission is pending unless otherwise specified. Author not accepting PMs at this time. - New update attempts to resolve crafting conditions. Previously you could craft something if your Smithing was 50, now it's set to Greater or Equal to 50. This attempts to resolve claims that some items cannot be crafted. - I did not change what level of smithing is required to craft the item. If JaySuS required you to be level 100 in smithing and your Character to be level 100 then it's still that way. Version 2 uses an NMM installer for the Arrows and Non-Arrows versions. Impulseve gives permission to modify file under his perms section. Removed because the author was charging for this mod on Steam. Now it's a free mod again but it has changed and this patch no longer applies. TES5Edit will complain about the VMAD in an EXPL record, just ignore that. I have not found a suitable replacement yet. [WIP] List of Midas Magic Spells (Google Doc) -- by DeepImpact. Bandit's Eyepatch Compatibility Patch v4. Version 4 changes keywords so that clothing versions are considered clothing and not leather. The Eyepatch is assigned to slot 55 as mentioned in the CK Wiki. Now you can use the patch with a hood for example. They are still available in both Clothing and Light Armor and, can be purchased from Grelka in Riften. Not Accepting PMs at this time. File hosted with permission from author. New version 2 is available! - The mod has been updated by the author so I will no longer be hosting this file. Hosted with permission from author. This is temporary until MadCat221 hosts the file himself. Hosted with permission from iLily. Version 0.41.4 includes "BabettesFeast - IMCN.esp" for use with Imps More Complex Needs. Do Not Clean "Better Sorting" with TES5Edit! Author is not Accepting PMs at this time. Posted with approval from alternate contact. Author gives permission to any and all on Description page. akfekbranford gives permission to modify file under his perms section. 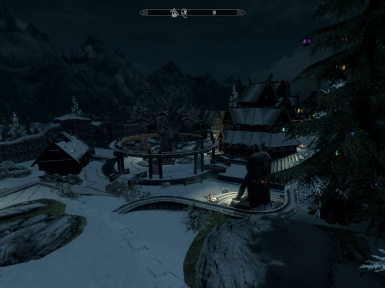 I contacted the author and he will also share a link to this mod if anyone is experiencing issues. Author gives permission to any and all in Readme File. However, the author requests that we all thank JulianP and Vinifera7 for their outstanding work on this standalone version! Dovahkiin Hideout -- by Shawkab Install only one of the three Dovahkiin Hideout Patches! New Hideout Hearthfires and Non Hearthfires Version 1.0 is available! - The Dovahkiin Hideout mod has been updated and I have hosted it on a seperate page Shawks Corner. Backsteppo gives permission to modify file under his perms section. Nroski gives permission to modify file under his perms section. This is a CBBE v2 mod. It will work with CBBE v3 but there will be clipping. Barscheck did not make a CBBE v3 version. Q: I want to use one of your patches with SkyRe or the ReProccer. My question is, [insert question here]? A: I don't discuss anything related to SkyRe or the ReProccer. Direct all questions to the appropriate forums or authors. Q: I made changes to the original authors plugin so it would work with SkyRe and the ReProccer. Should I use your patch and make the same changes or, should I continue using the plugin I have already made changes to? A: That is your choice. I don't discuss anything related to SkyRe or the ReProccer. Q: Can you update your patch to be compatible with SkyRe? A: I don't discuss anything related to SkyRe. Direct all requests to the the original author of the plugin. Q: Can you upgrade your patch to work with [insert plugin name here].esp. A: No. Feel free to use the plugin with TES5Edit or the CK and make any changes you like for your personal use. I have contacted all the authors to the plugins I host but some of them have not responded yet. The ones that have responded have given me permission to host the patch. If you want to host a file based off my patch you should ask permission of the original author. Q: Can you upgrade your patch to work current DLC? A: I don't update the plugins for Dawnguard, Dragonborn, or Hearthfires, unless I feel it is needed to prevent a CTD. An example of this is the Dovahkiin Hideout when used with Hearthfires. Q: What do the patches do, Exactly? A: I don't discuss this so don't ask. The plugin I provide replaces the original authors plugin. As the LOOT and BOSS messages state, some mods were made before the Construction Kit was released. Since there wasn't a working Construction Kit they were made with older versions of TESVSnip so the plugin is corrupt. Some files were made after the release of the Construction Kit but were modified with earlier versions of TESVSnip so the plugin is corrupt. NOTE: Any version of TESVSnip prior to version 4.4.x used to modify a plugin will corrupt the plugin. However, that does not mean the current dev-version of TESVSnip is really any safer to use. It has not undergone enough of an updating and testing to be used to make plugins. Plugins should still be made with the Construction Kit. When needed TES5Edit can be used on the plugin but, using TES5Edit to make extensive mod changes is discouraged – that's what the CK was built for. Q: What do you change? A: I don't post changes I have made to the file unless I feel the need to do so, so don't ask. Here are the most common things I change: a) I change null FormIDs (00000000) to something that the CK or Skyrim can work with. b) I correct out of order subrecords. c) I load the plugin into the CK. d) I clean the plugin with TES5Edit. e) I check the plugin with TES5Edit using the "Check for Errors" routine. Q: Do you provide instructions on how to fix plugins with out of order subrecords or plugins corrupted by previous versions of TESVSnip (4.2 and 4.3.x)? Are there any resources out that you can direct me to? A: I don't provide this information, so don't ask. There are far too many people that can't clean plugins with TES5Edit even after reading the Wiki pages and watching videos. I am not about to trouble shoot someone else's mistakes. Q: When I use your plugin all my items disappear from my inventory, why does that happen? A: Your save game has references in it from the original plugin. You should continue to use the original plugin until you start a new character. Q: When I use your plugin I get an instant CTD, why does that happen?